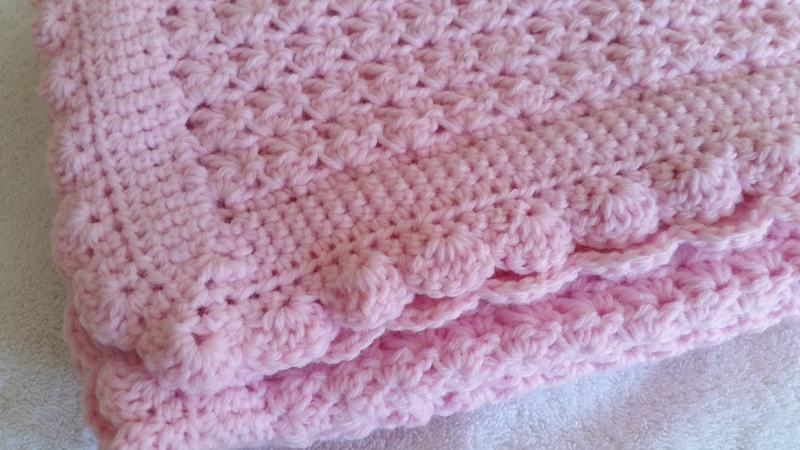 SofttoTouch is an Etsy shop that sells beautiful handmade gifts for baby, women and home. Cynth is the shop owner.We asked Cynth to share one of her favorite reviews. The link for the item reviewed is here. Here is a bikini cover or beach pareo from Cynth’s shop. SOFTTOTOUCH, in association with The Artisan Group®, will participate in an invitation-only luxury celebrity gift lounge hosted by GBK Productions on January 8-9, 2016 at an exclusive location in Hollywood, California in honor of the Golden Globe nominees and presenters. A medium-sized spa loofah created by Softtotouch will be gifted to select press and media outlets attending the event. Cynthia Doricchi, SOFTTOTOUCH’s sole proprietor, is a resident of Branford, CT.
For press inquiries regarding The Artisan Group, please visit http://www.theartisangroup.org or email press(at)theartisangroup(dot)org. *Neither SOFTTOTOUCH, nor The Artisan Group are officially affiliated with the Hollywood Foreign Press Association (HFPA). Cynthia Doricchi, designer/founder, Softtotouch, is known for her exquisitely handcrafted, crocheted fashion accessories. Cynthia also creates spa accessories, handmade afghans and baby blankets and so much more. Softtotouch will be gifting a pretty fluffy spa loofah to members of the press. This loofah is available in many colors and in three different sizes and has been a big seller for Softtotouch. In each gift bag, the loofah will be presented in a pretty mesh drawstring bag. Cynth has been creating and designing unique, hand crocheted, fashion accessories for five years now, but has been gifting friends and relatives for over twenty years with afghans, scarves and gloves. Cynth Doricchi is a member of The Artisan Group®, whose mission is spreading the word about handcrafted goods. Journalists who would like to reach out to Cynth can do so using the Email button at the right-hand side of this press release. Softtotouch hand crocheted items are available online at http://www.softtotouch.info and https://www.etsy.com/shop/softtotouch. Contact her via social media on Facebook (@softtotouch.etsy), Twitter (@etsysofttotouch), Instagram (@softtotouch15) and Pinterest (@softtotouch15). 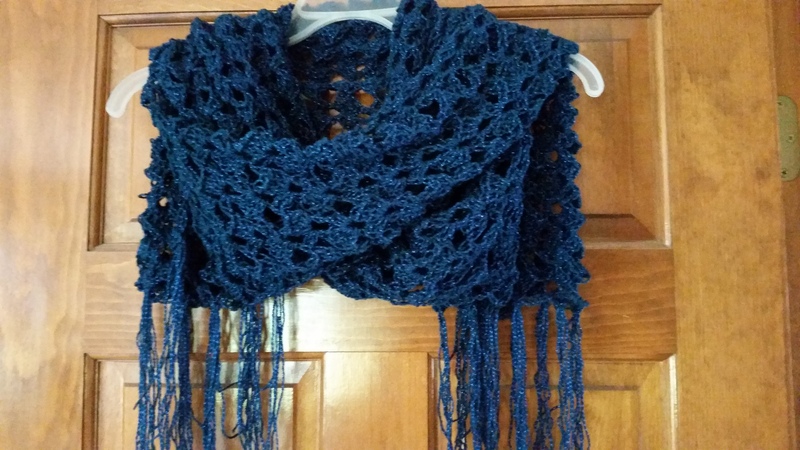 Cynth Doricchi (http://www.softtotouch.info) of Branford, Connecticut, creates handcrafted, custom, personalized crocheted accessories using only the finest of yarns in all of her designs. Cynth is a proud member of The Artisan Group®. Thanks to The Etsy Shopping List blog again for this wonderful feature!! “Absolutely love my new soap savers. They are perfectly made with attention to detail. It has a “soft touch” and works well. It is an expression of skill, beauty and practicality in one. ABSOLUTELY LOVE this!!! Cynth does amazing work. My daughter is going to be thrilled beyond belief when she opens this gift. The colors are wonderful and the blanket is so soft!!! THANKS Cynth! Cynth is the artist behind SoftToTouch, an Etsy Shop. We asked Cynth to share her story with us and here it is. When and how did you learn your art and craft? This is just a short note today. I planned on a day of football and crocheting yesterday. I received a few more orders during the week and wanted to get started on them. Well, I had a surprise visitor today. My son stopped by to watch some football with us and brought his cute little kitty. I love her, but she didn’t want to spend any time with us in the family room. She wanted to explore the upstairs. She was immediately drawn to my son’s old room and spent most of the day there. When we went up to look for her, she wasn’t in there any longer. 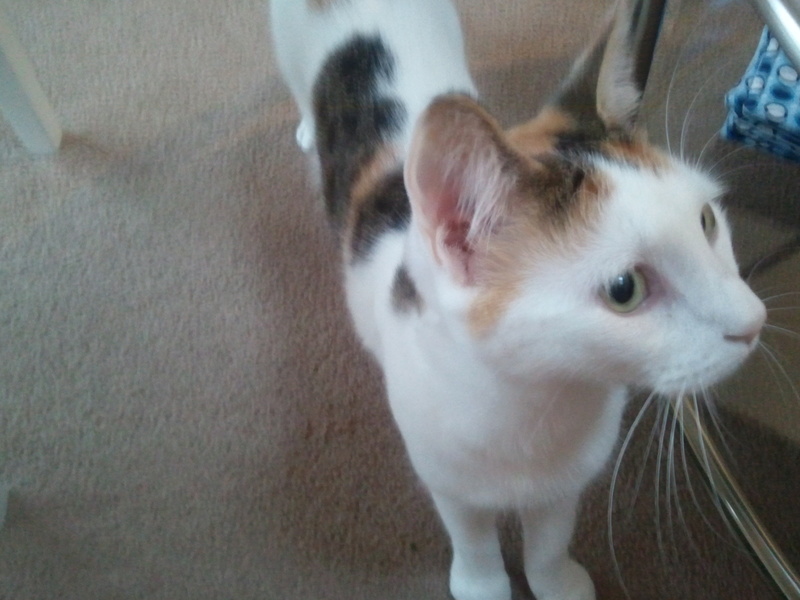 So we searched and found her…. 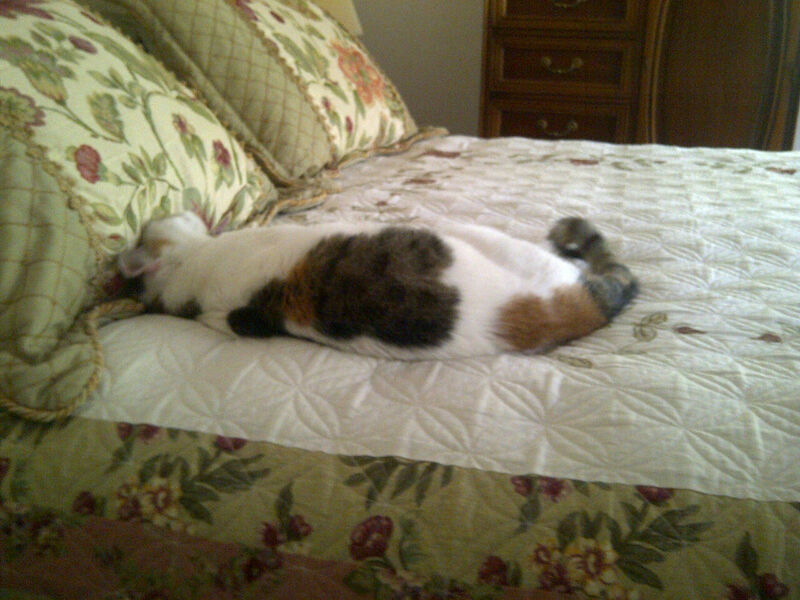 sleeping in my room on my side of the bed!! Well now football is done as of last night. I was able to get back to my fall color yoga socks. I thought I nice bright orange would do the trick. What do you think? 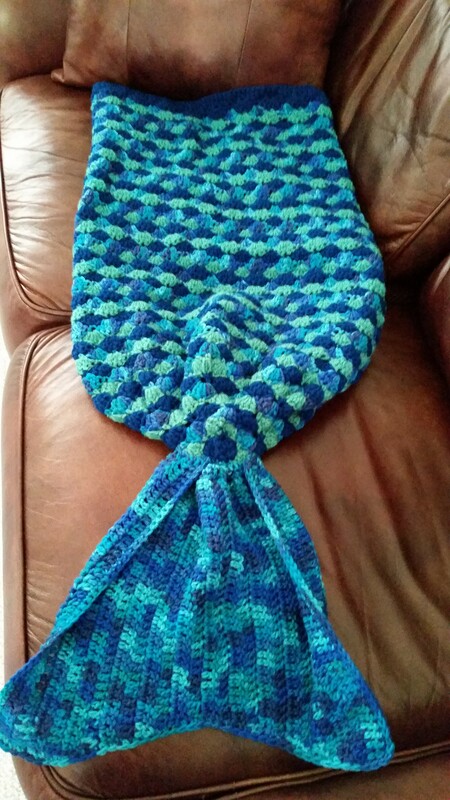 Also in the middle of a few other jobs…baby afghan, three loofahs, fingerless gloves, infinity scarf and a baby mermaid tail blanket. The fingerless gloves are from a pattern based on the character of Mrs. Fitz in the Outlander series. I love crocheting them. So, needless to say, my yarn is spread out all over the room!! I never thought I would ever “blog”. But here I am. I need to start adding some new interests in my life. Since I started my Etsy shop which you can visit at: www.softtotouch.info I have been so wrapped up in my crocheting projects. First I needed to create some inventory. So that took me a few months. I started out selling slowly as my shop at that time only featured winter and cool weather fashion accessories. So people in warm weather states and countries weren’t interested. Over time I started to add other items, including spa loofahs and washcloths, cell phone and E-Reader cozies, purses, pareos and even barefoot sandals….gotta get those warm weather people. Well, I caught a lot of “inquiring eyes” and my shop has been doing quite well. So as I said, I have been consumed by my crocheting. And now the winter weather is on it’s way as well as the Christmas season. So I will be very busy. But I need to save some of my day for other interests. I intend to start back at the gym….water aerobics, treadmill, yoga and I can’t wait to try TaiChi. I know my first blog has been pretty boring to you and I promise to liven up as I go along. I will leave you with a few pics of my latest, most fun creations. Let me know what you think. Great friends for over 50 years!! Love you! Great SHHS reunion.